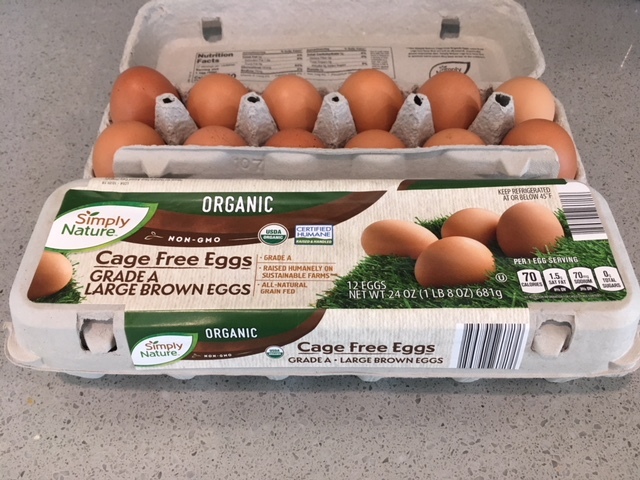 I was at Aldi yesterday to get some organic produce and eggs and I was super excited to see that they’ve marked down the price on their organic eggs even more, down to just $2.49 a dozen! This is by far the best price on organic eggs. Walmart is $3.99 a dozen! We eat a lot of eggs, at least 2 dozen a week, so that’s a pretty big difference in price over time. Keep in mind, this price could vary by store, but it’s worth checking for the next time you’re at Aldi.